Elite Force Gears 5 - 40 lb Small Training Sandbag Combo comes with 3 x 10 lb, 2 x 5 lb of Weighted Fillers, making this the most versatile training sandbag on the market! EFG sandbags are made using the most durable, water repellent, moisture and mildew resistant, military grade 1000 Denier Cordura, so you can use your bag in any condition and wipe it clean. They are constructed with genuine YKK zippers and heavy-duty, water repellent, mold and mildew resistant, 100% polypropylene webbing with a maximum break strength of 1200 lbs. 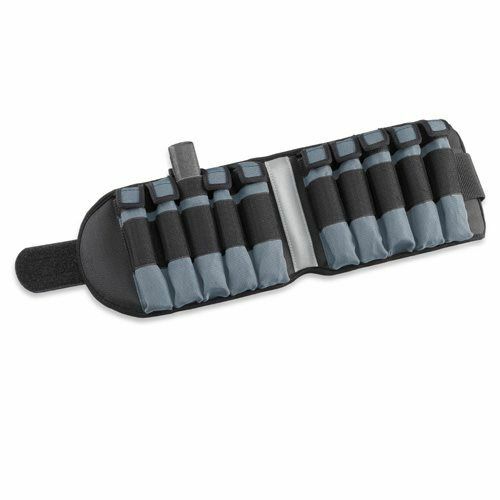 Elite Force Gear Sandbags have 7 unique rotating PVC handles, that are ergonomically designed to let you take your training to the max. The entire bag is constructed using the strongest bonded nylon thread and is double stitched and double box stitched for extra reinforcement. EFG Sandbags are uniquely designed and equipped with a removable, 10 mm thick EVA foam liner (for extra comfort) and with 4 heavy-duty D-rings for converting your Sandbag into a weighted Rucksack with the EFG's Custom Rucksack Harness. We back all Elite Force Gear products with our TOUGH GEAR 3 year warranty. 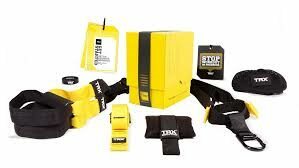 The all-in-one, total-body workout system you can set up in less than 60 seconds at home or anywhere you go. Get stronger, build muscle, lose weight and improve flexibility fast - no weights required. TKO's 20 lb. Weighted Vest includes 18 x 1 lb. soft steel weights placed in outside pockets. 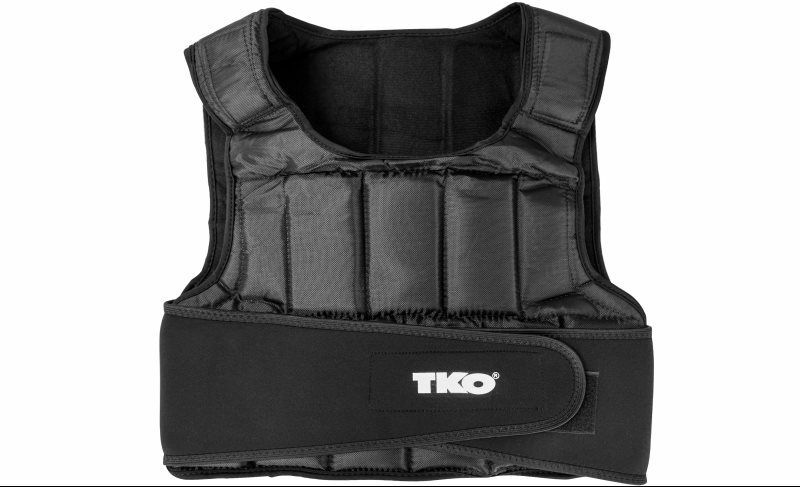 The vest features ultra-soft gel foam padding for extra comfort and a lightweight, breathable mesh design. Fully adjustable buckle closures provide a secure fit. TKO's 40 lb. Adjustable Weighted Vest includes 38 1 lb. SOFTSTEEL™ weights. 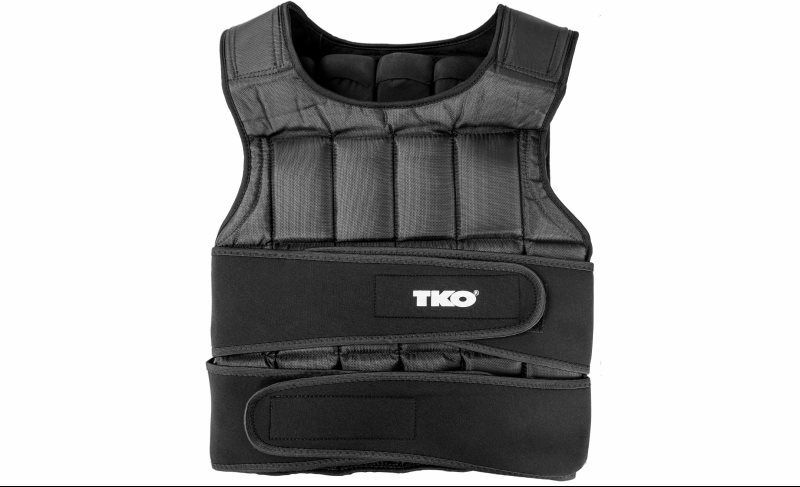 The vest features ultra-soft gel foam padding for extra comfort and a lightweight, breathable mesh design. Fully adjustable hook & loop closures provide a secure fit. The Body Bar® is a classic fitness tool; a simple, one piece solid steel, weighted fitness bar encased in high quality easy grip rubber for a secure and comfortable grip. User friendly, cost effective and versatile, The Body Bar® can be used not only in group exercise and the fitness center, but also for personal training, physical therapy, and home workouts. The Body Bar® is utilized in a wide variety of workouts including strength & conditioning, circuit & interval classes, kick boxing & martial arts, sports conditioning, balance & alignment, pilates & yoga based workouts and flexibility training. All of our products are supported by the Master Your Body videos featuring top fitness instructors. Hyper Wear's SandBell® is a cross between a sandbag, a dumbbell, a barbell, a grip bag, a medicine ball, a slam ball, a stability pod, a gliding disk, and a kettlebell. 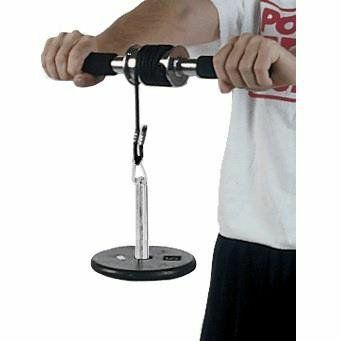 Made of tough stretchy neoprene, the SandBell is the most versatile and enjoyable functional weight training tool on the market. Sizes range from 2lb to 50lb. 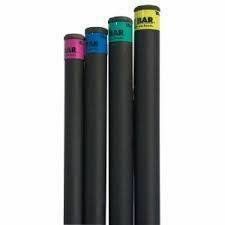 • Made of strong 15" long, 1" diameter pipe. 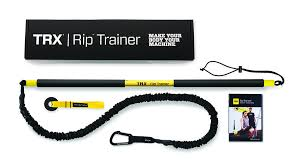 The essential tool for anyone looking to strengthen their core, the Rip Trainer employs an innovative resistance cord system to create a variable, unbalanced load that enables you to develop core strength, explosive power, flexibility and endurance. The Rip Trainer is easily portable and can be used by virtually anyone anywhere by attaching it to any secure anchor point.